Qdos Creates Community Choir, Chesterfield, Derbyshire Join this free Community Choir led by Su Donnelly from Qdos Creates. Su is a singer song writer and plays guitar and keyboard. Sing along to your favourite songs to live music. Fridays 10.45am to 12.15pm at West Studios, Sheffield Rd, Chesterfield S41 7LL. Quaggy Community Choir, Lewisham, London SE10 The choir is led by Jake Alexander. We’ll be singing an eclectic mix of songs of different styles – to well known hits to some tunes which are a bit more unusual. We look forward to inviting people’s song suggestions and providing community entertainment. We meet every Tuesday evening 7:00 – 8:30pm. 1 Copperwood Place SE10 8GF. No audition required. No experience required. Bring yourself, some enthusiasm and be ready to have fun! First session free and no commitment to sign up for the whole term. Quangle Wangle Choir, Weymoth Dorset We have fun time performing at weddings, concerts and other events. New members accepted each January. Quattro Correnti (QC) Chamber Choir, Hertford About 30 singers, aiming for near-professional standards while maintaining a friendly and sociable atmosphere. The choir was founded in 1992 and its name derives from the four rivers which flow through the town. Quay Note Singers, Topsham, Devon The Quay Note Singers are a friendly choir for anyone who thinks they might enjoy singing in harmony with others. No previous experience or skill is required, you are not expected to read music, instead we learn songs by ear and in no time at all we can be making beautiful music together! We sing all kinds of music, and we laugh a lot too! And we can be persuaded to sing in public occasionally. No commitment necessary, you can come along any time. Queens Island Victoria Male Voice Choir, Belfast Formed in 1974 with the amalgamation of the two oldest choirs in the Province; The Queens Island Choir formed in 1912 and the Victoria Choir formed in 1916, both originating in the Harland and Wolff Shipyard in Belfast. The choir regularly joins forces with other male voice choirs of Ulster to stage Charity Concerts. They also regularly appear with Welsh Choirs and their conductor has become the first non-Welshman to conduct the massed ranks of the Welsh Association of Male Choirs. Queens Park Singers, London NW6 We principally exist to provide the opportunity for 30 or so local people to join together to make music without the need to go further afield than Queens Park, London NW6. Since we often have a string orchestra taking part in our concerts, we provide this opportunity both for singers and for string players. There is also a junior choir, Queens Park Junior Singers. Questa Voce, Dorset Questa Voce is a large-scale singing group set up to provide a chorus and soloists for concerts, events and more. They are professionally trained to the highest standards in all styles of performance and singing, including opera, classical, musical theatre, jazz, oratorio, contemporary and more. Involved in both live performance and recording, they are not to be missed. Quinborne Choir (Quinton and Harborne), Birmingham The choir is now 76 years old, having been founded in 1939, and is located on the Quinton/Harborne border – hence the name! Quinborne is a mixed choir of some 50 members and performs concerts in the Birmingham area throughout the year, with a repertoire spanning a wide variety of music, from the major choral works to folk songs and lighter numbers. At some of our concerts, separate items are performed by the male voices.It is not necessary to be able to read music in order to join – enthusiasm and commitment are more important. There is a warm, friendly, non-competitive atmosphere in the choir, which is especially appreciated by new members, who are welcome at any time. Quintus, Tunbridge Wells, Kent We are a five-voice consort specialising in a cappella music of the sixteenth to eighteenth centuries, although we occasionally add additional voices for larger projects. Quorum, Milton Keynes, Bucks A small a cappella choir which sings renaissance sacred music in a liturgical context. The choir provides music for services (Sung Eucharist, Evensong, etc) in churches in the Milton Keynes/North Bucks area, and is also available for weddings. Quorum Singers of St Albans, Hertfordshire Quorum Singers are a friendly community choir of around 20 mixed members, singing in 4 parts (and more). We meet on Wednesday evenings on Hatfield Road, St Albans. We hold 3 concerts per year, each raising money for great local and national charities. Our repertoire is varied and we regularly sing a capella as well as accompanied. Radcliffe Male Voice Choir, Bury, Lancashire Radcliffe Male Voice Choir formed in 1921 continues to this day and is one of the oldest Male Voice Choirs in the UK. With a current membership of about forty individuals from various walks of life, the choir is under the direction of our Musical Director and Conductor Keith C Heywood and welcomes all men aged 16 years or over. We have a significant repertoire of about two hundred items from traditional Welsh pieces to Classicals and items from Musicals to Pop songs, in fact something for almost everybody to enjoy. Radcliffe on Trent Male Voice Choir, Nottinghamshire 70 strong, performing 10 - 15 charity concerts per year in venues ranging from local village halls and churches to Nottingham's Royal Concert Hall. In 2008 we celebrated our 25th Anniversary since formation during which time have had only two MDs. Our Silver Jubilee was marked by a week's tour to Rome where our latin pieces were well received! Other overseas tours have been to Antwerp, Ghent, Rhine Valley, Allanta (USA) and South Africa. Rainbow Chorus, Brighton, Sussex We are a mixed, 25-strong, gay and lesbian community choir serving the communities of Brighton & Hove. We give regular concerts and are reaching ever-higher musical standards. We are always on the lookout for enthusiastic new members! Rainbow Community Choir, Swaffham, Norfolk In September 2013 some friends had a chance meeting at a local concert and decided that they missed singing. They arranged a meeting at The George for anyone interested in forming a choir, and 24 people turned up. They now meet on once a week and the sessions are led by a talented musical director who is really good at building confidence and bringing fun. They sing a whole range of music – some familiar, and some refreshingly new from around the world. Rainbow Voices, Midland Arts Centre, Birmingham 80-strong, founded 1996 primarily for gay, lesbian or bisexual people & their allies. Also performed recently in Belfast and at Three Choirs Worcester Fringe Festival. Rainford Ladies' Choir, Rainford, Merseyside A warm and friendly group of singers who enjoy meeting each week to sing and socialise. The choir currently has around 30 members. The choir's repertoire is wide and varied, with many songs taken from shows and films. We also sing sacred, gospel, jazz, pop and world music, with the odd novelty number thrown in! The choir performs at many events in Lancashire and Merseyside, including two main concerts each year at Rainford Parish Hall, plus charity events and private functions. The choir began in the late 1980s as an ecumenical choir, and retains strong links with local churches, especially All Saints' Parish Church, where we rehearse each week. The choir also performs at weddings and funerals held at All Saints', Rainford, or at Lowe House in St Helens. Rainy City Chorus, Stockport, Manchester (aka Greater Manchester Barbershop Harmony Club) The Rainy City Chorus meets every Wednesday evening at 7:45 at the Church Hall, Old Chapel St, Edgeley, Stockport SK3 9HA - which is behind Edgeley Community Church on Edgeley Road. Raise the Roof Community Choir, Horniman Museum, SE London Raise the Roof Choir is the Horniman Museum's Choir in Residence. Raise Your Voices, Wirksworth, Derbyshire RYV is a community mixed choir, formed purely for the joy of singing. Led by Lester Simpson, professional musician, singer, songwriter and broadcaster, some 60 regulars from 100 membership enjoy an eclectic mix of music sung in unaccompanied harmony. The choir supports local charities with donations from concert profits and also performs at local community events. The sessions are 7.15-9.15pm on Thursdays at The Red Lion, Wirksworth and new members are always welcome. No experience necessary, no auditions, £4 subs payable per session, great atmosphere, always fun! Raised Voices, London A political Street Choir, which rehearses in central London and sings at protests and benefits in and around the capital. No auditions. Ramsbottom Choral Society, Bury, Lancs Ramsbottom Choral Society and Orchestra are located in the Bury and Bolton area just north of Manchester. It is a mixed choir, with singers of all ages who perform a wide range of classical and light music, including religious oratorios and also secular works. Rame Peninsula Male Voice Choir, Kingsand, Cornwall Based in this delightful Cornish village , the 40 strong choir draws its members from the whole of the Rame Peninsula and across the Tamar into Devon. The only qualification for membership is an enjoyment of singing. The choir has promoted Cornwall to delighted audiences across europe, from Hamburg and Rotenburg in the East, to Brittany on the Atlantic and through to Ireland. At home the choir has taken part in the Festival of Cornish Choirs at the Royal Albert Hall and its main activities still lie in the South West where they have performed countless concerts for charities and local weddings. Raunds Community Choir, Raunds, Northampton This popular SATB choir meets once a week on a Tuesday in St Peter’s Community Centre (opposite Spar) in Raunds, Northamptonshire. Rehearsal are between 7.30 and 9.30pm and open to all, no audition just turn up, sing and have fun! Rawstorne Singers, Longton, Lancashire The Rawstorne Singers is a choral group of 24 mixed voices that has been established now since 1980. Taking its name from Bishop Atherton Gwilym Rawstorne, once Rector of Croston, and the only ever Bishop of Whalley, the Choir was originally formed in 1980 as a visiting and training choir for the pupils of Bishop Rawstorne CE High School in Croston by Michael Sands, Director of Music at the School. Throughout the year, The Rawstorne Singers deputise for various cathedral choirs as well as taking on a civic role within the city of Preston. As well as singing in services, the choir puts on three concerts a year, usually in spring, summer and at Christmas. Membership is open to anyone from secondary school age upwards. Reach Out Gospel Choir, Canterbury, Kent An all-access choir for anyone who would like to sing gospel music, ranging from a mixture of spirituals, traditional and contemporary gospel songs as well as R&B, funk and pop gospel arrangements. Read's Warblers, Goole, Yorkshire We currently run two choirs – POP and SHOW. You will be trained each week by experienced, qualified professionals who will help you achieve your vocal potential in a friendly and supportive atmosphere. Each choir produces two concerts per year and are proud to share the stage with professional vocalists, instrumentalists and West End performers. Performing in our concerts is not compulsory, however it is a great opportunity to celebrate all your hard work! Reading Bach Choir, Berkshire 50 singers presenting the major Bach works to the highest standard, and also performing a wide repertoire from medieval to modern times in 4-5 concerts a year. Reading Male Voice Choir, Berkshire A premier concert choir in South East England with a unique and varied repertoire based on arrangements by our Musical Director.Our objective is to entertain and help raise funds for charities and other worthwhile causes. Reading Minster Mid-Week Choir, Berkshire Ours is for this town-centre church. The Minster Church of St. Mary the Virgin, Reading is situated between the three main shopping areas: Broad Street, the new Oracle Centre and the Broad Street Mall. Founded in February 1997 by Seymour Norman, a former Exeter Cathedral chorister, the Reading Minster Mid-Week Choir continues to sing on alternate Wednesdays. Most services are a Cathedral-style Choral Evensong at 6.15 p.m., but there are occasional special services with appropriate and varied music, thus providing a 'Shop Window' of our church's choral repertoire. The Mid-Week Choir supports them all on a purely voluntary basis. Reading Teen Rock Choir, Berkshire Established in 2005, Rock Choir was the first contemporary choir in the UK and its unique choir format has created a musical movement affecting thousands of individuals and communities across the country. Reading University Chorus, Berkshire An 80-strong choir that meets weekly to rehearse for a termly concert. No audition is necessary but a joining fee and score-deposit must be paid during your first rehearsal. Red River Singers, Cornwall The Red River Singers are a group of community singers that meet to sing mainly Cornish songs. Reddish Choral Society, Reddish, Cheshire e-mail only contact: P Waddington We meet at Christ with All Saints' Parish Church, All Saints Road, Heaton Norris, Stockport, SK4 1QA. Due to be renamed Stockport Choral Society in 2017. Redditch Choral Society, Worcestershire Rehearse on Wednesdays at 7:45pm in Crabbs Cross Methodist Church, Redditch, Worcestershire. We perform full choral works with professional soloists and orchestras as well as specially commissioned works and lighter music. There is no audition process and new members are always warmly welcomed. Redditch Community Gospel Choir, Worcestershire Redditch Community Gospel Choir (RCGC) has for five years served the Redditch & Bromsgrove Community. The choir is locally formed, locally based to give people a sense of pride and ownership. 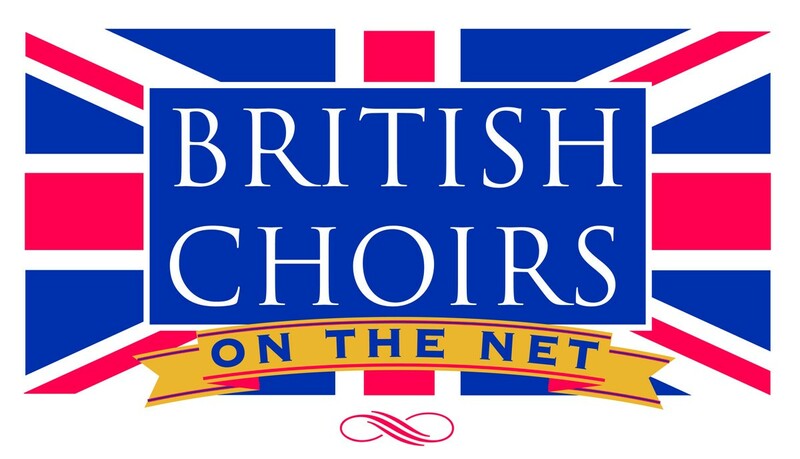 Despite this since the choir started in May 2010, there have been participants from neighbouring Alcester, Birmingham, Solihull, Stourport on Severn, Studley and various parts of Warwickshire & Worcestershire all welcome and keen to support Redditch interests. Redditch Rock Choir, WorcestershireThe Redditch Rock Choir is led by local musician Christa Hugo. We are the local community choir with the national reputation - join the Redditch Rock Choir and experience the singing phenomenon that Will Smith described as 'Fantastic'. Whilst retaining our community spirit, we come together en masse for national and regional events, giving our members unrivalled performance opportunities and experiences beyond compare, ranging from singing on BBC Breakfast Christmas Special in 2011 to our local Worcestershire music, food and fireworks festivals! Rock Choir is the no audition, no need to read music choir and it was the first of its kind in the country. Redland Green Community Choir, Bristol. A non-auditioning choir for students, staff, parents and governors from Redland Green School and/or anybody else who lives in the local community. There are no auditions and the choir is open to all ages and experience. The only requirement is that members love (or learn to love) singing! In the short time since its start, the choir has flourished under the expert and enthusiastic leadership of Helen Bilkey. Helen was Head of Music at Redland Green School from September 2007 until July 2009 and prior to that was Head of Music at George Ward School, Wiltshire. Reggae Choir, Stratford Circus, East London Reggae Choir is an amateur ensemble, open to everyone. You need no experience but the joy of singing. Most of us like to sing (whether we admit to it in public or not). That's why we sing in the shower, around the house, karaoke nights, chanting in the football stands etc. It makes us feel good and anyone can do it! We cover many sub genres of Reggae Music such as; Pop Reggae, Two Tone, Rock Steady, Ska, Classic Reggae, Lovers Rock. We even tackle 'Reggified' songs. That is well known pop songs given a reggae twist. Imagine singing Amy Winehouse's 'Valerie' with a thumping bass line. Reigate Voicerox Choir, Surrey New Pop & Rock Choir enrolling now! Come and Sing in a brand new pop and rock choir. No audition required and all abilities welcome. A new 5 week course beginning November 2009. Remix Voices, Guildford, Surrey Even if you have never sung harmonies in a choir before, or have been in other choirs, Remix Voices may be the very thing for you. The rehearsals are exciting, stimulating and fun, whilst always working towards high musical standards. This is our Summer Term, so please come along and see what we do. You can choose between daytime choirs or evening choirs - or both. Remix Voices, Woking, Surrey Are modern secular choirs, based in Guildford and Woking in Surrey, and Reading in Berkshire. As community choirs, the friendship between the singers is a vital ingredient of our ongoing success. Woking Evening choir rehearses on Thursday evenings during term-time, at Goldwater Lodge. Renaissance Choir, Emsworth, Hampshire Founded 1976, primarily to sing Renaissance music, but now extended to a modern repertoire too, mostly unaccompanied. Renaissance Singers, London The Renaissance Singers were founded in 1944 by Michael Howard as the performing arm of the Renaissance Society, and led the revival of interest in Renaissance sacred polyphony-the beginnings of the "early music movement". In 1992, after a gap of some ten years, the Singers were re-formed by Michael Procter as a chamber choir specialising in this repertoire. From 1995 the Renaissance Singers was directed by Edward Wickham and from 2005 by JanJoost van Elburg. He present director, David Allinson was appointed in 2009. Renaissance Voices, Maidenhead, Berkshire Renaissance Voices was born in 2000 to cater for a desire of amateur singers from the Maidenhead area to rehearse and perform the choral repertoire of the sixteenth and seventeenth centuries. Since our inaugural performance in July 2000, we have given nearly 50 concerts, mainly at St.Nicolas Church in Taplow. The choir is completely self financing, surviving on members' subscriptions and revenue from concert performances. Despite this, RV is often accompanied by a professional period instrument 'band' of strings and harpsichord. Renaissance Voices Chamber Choir, Taddington, Buxton, Derbyshire Brings together singers from a wide area of the Midlands and Northern Counties to promote performances of Renaissance and Baroque music. The choir's repertoire includes English and Italian Madrigals, French Chanson, Tudor Anthems, Latin Motets and psalm settings, mostly performed a cappella. Renewal Choir A Community Gospel choir based in Bristol which has been running for over 3 years. During this time, under the inspirational leadership of Gospel Choir Director, Kim Samuels, it has formed into a strong core of over 30 dedicated and accomplished singers and musicians of all ages and backgrounds. If you have ever wanted to sing in a Gospel Choir, to experience the vibrancy of the singing and be inspired by the message of the Gospel music, then please feel free to come along to rehearsals. Resonate, Edinburgh, Scotland Development based voice project, directed by Jen Clark, presenting original arrangements - contemporary, traditional and other. Resonet, Plymouth Resonet is a long established non-audition chamber choir based in Plymouth singing mostly sacred early music. We perform around 6 times a year in beautiful old historic buildings in Devon and Cornwall. We have vacancies in all voice parts and would welcome new members. Prospective members are invited to join us from 8-10pm on Thursday evenings to listen or sing with us at Christ the King church on Notte Street. Or come to one of our concerts. Lifts are offered to both rehearsals and concerts. Non sightreaders will be supported but should be prepared to take extra sessions. Our termly subscription is £15 and you will not be asked for any money until you have decided to stay. We have special rates for students. ReSound Choir, Cambridge ReSound is a 36 voice choir for experienced singers who are prepared to do homework! The choir was set up in September 2010. We perform regularly around Cambridge, singing an eclectic contemporary and traditional mix of a cappella songs from different cultures, rich in harmony and rhythm. Resound Girls Choir, Surbiton, Surrey. e-mail only: contact becgresson@hotmail.com A non-auditioned girls choir aged 11 -19. We sing a range of music from pop and musical theatre to folk, gospel and traditional choral. Rehearsals take place on Wednesdays 7-8pm at Surbiton Hill Methodist Church. Regular concerts and festival appearances. Directed by professional soprano, Rebecca Gresson. ReSound Community Choir, North West Lancashire ReSound Community Choir are a group of singers in the North West of England, and were formed to provide an opportunity to meet and sing together. The choir is a broad mix of people, from professional musicians to people who just enjoy singing as a hobby, and contains a wide range of ages- young and older voices. Retford Community Singers, Nottingham We meet on Tuesday evenings in school term time from 7.30-9.15 pm at St Joseph’s Church Hall, Babworth Rd, Retford DN22 7BP. Cost is £2.50 per session, payable each week. There is plenty of parking around the church or in nearby streets. Membership is very simple, you just need to turn up and register contact details. There are no auditions. Most singers try to attend every week, but it is not a problem if you miss some sessions as we learn new material every month and we also revisit old favourites. We currently have around 100 regular singers with average attendances of 60-70. There are more women than men, but we do have a strong group of male singers. Revelation Avenue Gospel Choir, London Britain's Got Talent's Golden Buzzer Winners, Revelation Avenue are a London based Gospel Collective with a history extending back over 10 years. Comprising of 12 individuals, Revelation Avenue are not your ordinary choir. They are currently working on a number of projects that aim to develop and refine their sound as well as help to bring British Gospel Music into the forefront, defining it as a recognisable and relevant musical genre continuing to spread the beauty of the gospel via the joy of song. Rhayader & District Male Voice Choir On a cold winter’s evening in 1957, Tom Edwards a farmer, Rhys Jones manager of Barclays Bank in Rhayader, Afon Jones lorry Driver and Afon Davies lorry Driver met in the Cwmdauddwr Arms in Rhayader for the inaugural meeting of the Rhayader and District Male Voice Choir. Rhos Ladies Choir,(Côr Merched Rhos) Rhosllannerchrugog, Wrexham. e-mail only entry, contact Anne Jones. cor.merched@rhos.co.uk 4 part Ladies choir of 35 voices. Formed in Jan 1998 this choir has been prize winners in both The National Eisteddfod of Wales and the Royal Llangollen International Eisteddfod. Rhos Orpheus Male Choir The Rhos Orpheus Male Choir was formed in 1957 specifically to compete at the Llangollen International Eisteddfod. Since then we have performed throughout the UK and have travelled extensively in Europe, the USA & Canada. We have also visited China, Hong Kong & Israel. We've taken part in many competitions & won a significant number of prizes as well as making several cassettes and CDs. We are a registered charity and have helped raise many thousands of pounds for many diverse deserving causes. One of our recordings, 'Calm is the Sea' helped to raise over £10,000 for the Royal National Lifeboat Institution. The Choir is particularly proud that a number of its members have gone on to take up singing as a career. The Choir has a long tradition of recording its repertoire most recently the CD Orpheus Gold to coincide with the Choir's jubilee celebrations. Richard Roddis Singers 20-30 members, meeting for only one week per year & performing 2-3 concerts. Singers from all over UK, concerts in Derbyshire area. Richardson Singers, Darlington, County Durham This 25 voice ladies choir was formed in 1966 by Miriam Richardson with most of the members taken from Holy Family Parish in Cockerton, Darlington but open to any ladies who had an interest in singing. Having gone through a couple of name changes the choir took its current name in 1974. Richmondshire Choral Society, Richmond, North Yorkshire is a community choir, a society in which people come together to sing choral music for enjoyment. There is no requirement to take an audition; you simply need to turn up and express the desire to sing. Having said that, we aim for a high standard in performance and have been fortunate in having music directors who have worked with the choir to help us to achieve this. There are normally about 65 members of the choir and we usually perform two concerts a year, one just before Christmas and a second in late April. Our Christmas concert is highly regarded as one of the major features in Richmond's town celebrations, as much a part of the local scene as the tree in the square or the lights around the town. Rickmansworth Players Choir, Hertfordshire Rickmansworth Players Choir was established in 2010, and is a fun, friendly community choir for singers of all ages (16+) and abilities. We tackle a range of different styles: from Madrigals to Madonna; Rock to Baroque. We always sing a capella. We work hard on our music, but there’s still a fun, sociable atmosphere in rehearsals. We aim to get the very best out of every singer, whatever their level of experience. We rehearse every Tuesday in school term-time, from 7:45 - 10pm at Christ Church Chorleywood, WD3 5SG. Your first session free as a taster. Just turn up. Richmond Community Choir, Twickenham, London We welcome new members! We don't hold auditions: all we ask is that you can hold a tune. No need either to be able to read music. The Choir performs twice a year at least: a Christmas Concert, which tends to contain seasonal pieces, and a rather more light-hearted concert in early summer. We have also performed in other contexts and support local events, including performing in Spain and Germany and as part of the 500th anniversary of Hampton Court Palace. We learn a range of pieces for each concert rather than one big work, and we enjoy trying out pieces in various languages, some represented in the Choir's membership, and others not. We have performed pieces which range from the early Renaissance to brand new compositions, as well as popular and show songs arranged for us by our Director. Ringwood Musical & Dramatic Society, Hampshire A closely integrated within the main Society, which celebrates its Centenary in 2011. It offers a lively and friendly social life and draws members widely from the New Forest and Bournemouth area. The Choir is SATB, approximately 50 strong. A series of concerts is given in June and December. Under the inspiring direction of Ivy Tan and Chris Guy, both professional musicians, the choir performs a variety of music, from opera choruses to classical, gospel, folk and popular pieces from around the world, including some original compositions, attracting large audiences. It welcomes new members to audition, and particularly seeks more male voices. Please see our website for contact details. Ripon Cathedral Choir, N Yorkshire comprises 18 Boy Choristers and 6 Lay Clerks singing seven services each week - evensong daily except Wednesday, and two services each Sunday. The Boy Choristers range in age from 8 to 13 and are boarders at the Cathedral Choir School, which was founded in 1960. Each morning they are engaged in instrumental and singing practice before the start of the school day. They trive on a quite rigorous timetable which includes all the normal activities for boys of their age. The Choir is involved in three Annual Festivals with other cathedrals, and there are numerous concerts and special services within the Diocese and beyond. Risca Male Choir, Gwent Founded in 1970, Risca Male Choir has established an enviable reputation; the choir has not been afraid to experiment with and explore many musical styles. This diversity can be admired and enjoyed through its numerous recordings. The choir's competition successes have included the title "Male Choir of the Year", winning the Welsh Choral Challenge shield, the National Eisteddfod, the International Choir Festival of Jersey and the Bronze Medal from the Malta International Choral Competition. Rivarate, Caversham, Berkshire A mixed choir for all ages and levels of experience. It was formed in Caversham Heights in September 2008 with a membership of just over 20 enthusiastic singers. It did not take long for word to spread and within a year the choir had trebled in size and going from strength to strength has been gaining in popularity ever since. We currently have just under 100 members. Rivendell Singers, Northwich, Cheshire. A mixed voice choir of about 35 singers, founded over 30 years ago. Their repertoire of accompanied and unaccompanied music, both sacred and secular and sacred ranges from the 16th to the 21st centuries. They give six or seven concerts a year in varied venues. There is no audition, we welcome anyone who enjoys choral singing. River City Chorus, Exeter, Devon Exeter's only Ladies Barbershop Singers, and are a group of lovely ladies of all ages and from all walks of life. The Ladies are united in the unique sound of unaccompanied four-part harmony singing. Barbershop is a style of singing which takes the traditional lyric and music of a song and embellishes it to allow the singing voice to replace the music accompaniment. The Chorus is a member of the Ladies Association of British Barbershop Singers (LABBS). In that capacity, we annually compete against the other members in the Association. Riverside Theatre Company Singers, St Neots, Cambridgeshire Currently comprising 2 choirs, a junior and senior choir, we are also starting up a boys singing group with a new project aiming to reach teenage boys with a rock singing group, with the ultimate aim of integrating the boys into a more traditional choir. Our junior and senior choirs have both been winners at the regional Rotary Young musician of the year in the last 2 years, and the senior choir went to the world choir games in Graz in 2008 and was given a silver award. Riviera Sound, Torquay, Devon A ladies unaccompanied four part harmony chorus, with a wide and varied repertoire. We are based in Torquay, Devon but also have singers from, Paignton, Brixham, Newton Abbot, Totnes and beyond. We aim high whilst maintaining the fun and have about 35 members of all ages who enjoy singing and socialising. We perform all over Torbay as well as further afield and take part in local, national and international choir competitions. We are available for bookings! Rochdale Festival Choir, Rochdale, Lancashire In 1980 Rochdale's very own Festival 80 Choir came into being, hence its original name of the Festival 80 Choir. In that year all those who enjoyed music making, without audition, were invited to come together and, using parts of oratorio, tell the story of God's purpose for us. Since that year the choir has always invited membership in the same open way. The basis of its repertoire has remained oratorio and sacred music though choruses from opera, musicals and even popular music have featured in more recent concerts. Our three main concerts are prepared for Easter, Christmas and Summer and from the proceeds of thee two performances the Choir donate the majority of the profits to both local and national charities. Rochester Cathedral Choirs, Kent There are two separate choirs at Rochester Cathedral, one formed from boys aged 7 -13 and the other from girls aged 7 - 14. The cathedral also employs adult professional singers - the lay clerks - who accompany both choirs. Both choirs sing at Christmas and at Easter, often performing together at the most important services. Rochester Choral Society, Kent Rochester Choral Society has about 80 members and performs 3 times annually in Rochester Cathedral. Repertoire is usually sacred oratorios. New members always welcome. Rock Chorus', Berkhampsted, Hertfordshire Our repertoire will be classic and contemporary rock and pop. Adult choir. There is no audition required - the only requirement is to love singing and to come and enjoy it. Rock Chorus', Dunstable, Bedfordshire Our repertoire will be classic and contemporary rock and pop. I am running three different age groups - Juniors (6 - 10years) Teens (11 - 18) and adults. There is no audition required - the only requirement is to love singing and to come and enjoy it. Rock Chorus', Milton Keynes, Buckinghamshire Our repertoire will be classic and contemporary rock and pop. I am running three different age groups - Juniors (6 - 10years) Teens (11 - 18) and adults. There is no audition required - the only requirement is to love singing and to come and enjoy it. Rock Chorus', Pinner, London Our repertoire will be classic and contemporary rock and pop. There is no audition required - the only requirement is to love singing and to come and enjoy it. Rock Chorus', Watford, Hertfordshire Our repertoire will be classic and contemporary rock and pop. There is no audition required - the only requirement is to love singing and to come and enjoy it. Rock Up and Sing, Harrogate, Yorkshire Choir of Rock Gospel and Motown, No Auditions, No need to read music. Also a mixed choir in Skipton. We also have a Wedding & Special Events choir called Rock Up and Sing For You – which is available for hire. RockavoX, Dereham, Norfolk Established in April 2012, RockavoX™ really is a rock choir with a difference! Thought to be the only one of it’s kind in Norfolk, aimed at people aged 16+, the group learns and performs popular and contemporary rock and pop songs old and new! PLUS, RockavoX has it’s very own ‘house’ rock band to accompany our performances and give the group a proper ‘rock’ feel! There is no requirement to read music and you do not have to pass an audition to join. All we ask is that you have a passion for singing, enjoy being part of a large performing group and that you are up for a challenge! Rock'n'Soul Singers Nottingham The "Rock 'n' Soul" singers," as we call ourselves, came into being through local peoples' wish to sing. There wasn't a choir locally, so we created one - why not!! We meet on Wednesday evenings to rehearse at Underwood Church from 7.15 - 8.45 pm. If you would like to come and meet us, hear what we sing and perhaps join in, you'd be very welcome. RockVoxChoir, Cambridge No previous choir experience necessary, no nerve wracking audition process, no requirement to read notes, just a passion for music. All contemporary styles covered including rock, pop, indie, soul, and motown we try to specialise in a broad repertoire of music not always covered by more conventional choirs. Rodillian Singers, Wakefield, Yorkshire A female voice choir, formed in 1964 when a group of “old girls” from Rothwell Grammar School got together to sing for relaxation and enjoyment, based in and around Rothwell, Wakefield, Ackworth and Leeds, West Yorkshire. We sing a very broad range of music from traditional, folk, classical, pop, spirituals, jazz and unique arrangements written for us by our musical directors. We seek to challenge assumptions about "ladies' choirs" by singing innovative, stimulating and and technically difficult music alongside more popular and easy-going songs. Rodolfus Choir Talented young singers from all over the UK, chosen from past and present members of the Eton Choral Courses, who come together to sing for a few intensive days during the holidays. Many of the UK's established professional singers were once members of the choir. Rolleston Choral Society, Rolleston-on-Dove, Staffordshire We are a mixed group of about 50 singers based in and around Burton-on-Trent, Staffs. We have evolved from the Rolleston Music Circle, founded as a gramophone society in 1962. This became the Rolleston and District Choral Society a year later, and we gave our first choral concert in 1964. By 1966 the two groups amalgamated into the Rolleston Music Circle & Choral Society – which is still our official name. The gramophone side ended in 1980, but the choral section has gone from strength to strength ever since..We are currently rehearsing for a big concert on Saturday 19 March, which will involve around 80 local primary school children. The programme will include Captain Noah and his Floating Zoo (Flanders/Horovitz) and Jonah Man Jazz (Hurd). Romsey Abbey Choir, Hampshire A large all-male choir singing choral services in the Anglican cathedral tradition on most Sundays and major religious festivals throughout the year. There's a girls' choir listed, too. Romsey Choral Society, Hampshire Established in 1981 Romsey Choral Society is now widely recognised as one of Hampshire’s most interesting and vibrant choral groups and has programmed an astonishingly diverse range of music encompassing over 100 works ranging from Bach to Berio. Romsey Ladies Choir, Hampshire The choir was formed in November 1991 by Mike Richardson, a Romsonian back home ifrom Canada for two years. It began as a small unison glee club called Sing Something Simple, but has now developed into a fifty-strong three- part ladies’ choir. We are fortunate to be led by a wonderfully talented Musical Director Miguel Fernandes. Romsey Singers, Hampshire A friendly chamber choir formed in 1968 now with some 35 members singing a wide range of sacred and secular music, both unaccompanied and with instrumentalists. Philip Lawson became Musical Director of the Romsey Singers in September 2016. Romsey Voices, Hampshire The choir was formed in 2015 as a non-audition choir for adults and currently has around 80 members. The choir has performed in several charity fund raising concerts around Romsey and its neighbouring towns and villages. We rehearse on Wednesday in Romsey Abbey Primary School. Romsey Youth Choir, Hampshire The choir was formed in 2010 as a non-audition choir for 11-18 year olds and currently has ~ 90 members. It performs a widely varied repertoire in concerts, festivals and on its annual tours. In addition to the main full choir there are upper voices and chamber choirs. We rehearse on Friday in Romsey Abbey Primary School. Roots Community Singers, Leicester A community choir specialising in English and World Folk music. Mainly acappella, (singing without musical accompaniment), it is open to all comers irrespective of ability, (or lack of it!). You do not have to be able to read music and will not be asked to sing solo or perform in public unless you wish. Ross Penyard Singers, Ross-on-Wye, Herefordshire The Ross Penyard Singers are a small, friendly, mixed choir hoping to increase our numbers for the 2013-14 season. Our Musical Director, John Frith, has introduced us to a varied repertoire: classical, operatic, baroque, English folk, contemporary, musical show, swing and pop. Our rehearsals are fun and we enjoy singing together. The are no auditions, we just ask for enthusiasm and commitment. We meet on Wednesday evenings at Christ Church, Edde Cross, Ross-on-Wye from 7:30 - 9:30pm and perform 3 concerts per year. We also sing at charity events and weddings. Rossendale Community Choir The forte of Rossendale Community choir is it creates a positive community. It is the highlight of many peoples week, giving them a much needed lift or enabling them to switch off from the stresses of life for a couple of hours. Singing helps people calm down physically. The body produces endorphins - the happy hormone that affects every cell in the body – that lift the spirits and boosts the immune system. Firm and lasting friendships are formed. People will look out for each other, support each other, laugh with each other and feel fantastic when they hear the wonderful harmonies they are going to make together. Rossendale Ladies Choir, Haslingden, Lancashire The Rossendale Ladies Choir was formed in 1977, and currently has over 40 members. Membership is made up of ladies from all age groups and all walks of life. We meet every Wednesday evening and rehearse at St. Peter’s Church, St Peter’s Avenue, Haslingden from 7.30 to 9.30pm to share a love of music. New members are made very welcome and we warmly extend an invitation to any prospective members to come along to a rehearsal, sit in and listen or join in if you feel brave enough. Rossendale Male Voice Choir, Rawtenstall, Lancashire "The Valley of Song" is how the Rossendale Valley in south east Lancashire is often described and it is the home of The Rossendale Male Voice Choir. Lancashire’s famous male voice choir, with over 80 years of rich musical history, is proud of its heritage but also looks to the future with enthusiasm and confidence, continuing its record of innovation and success. Rossendale Memory Choir, Lancashire A singing group for people living with dementia and their carers, in conjunction with Crossroads Care East Lancashire (NB the person living with dementia should still be living at home). The group currently has a waiting list, so please contact Crossroads Care to check availability before attending. Rother Community Choir, Bexhill, East Sussex The Rother Community Choir was formed in January 2010 and has already raised lots of money for local charities. The ‘brainchild’ of Sally Vennard, a Rother District Council employee who was inspired by the BBC2 series featuring conductor Gareth Malone on a mission to get the nation singing, this choir was created for the Council’s employees to join. It very quickly grew, rehearsing away from the workplace and enticing new members that have no links with the Rother DC. Rotherhithe & Bermondsey Choral Society, Rotherhithe, London The Society's aim is to practice and perform good music to suit all tastes and to have a good time!. Repertoire ranges from the Mozart and Rutter Requiems, Bernstein Chichester Psalms, Operatic selections, folk and popular songs, Gospels to unusual rounds. Approx 20 singers. Criteria for joining are to enjoy singing and to be able to sing in tune. Rough Truffles Community Choir, Derbyshire Rough Truffles choir was started in 1999 by local people with a shared interest in singing songs from around the world that are uplifting and reflect a wealth of musical styles – from jazz to gospel, Gaelic to Maori, African and much more! The primary purpose of the choir is to enjoy singing together and we don’t require members to read music, have previous musical training, or undergo an audition. We perform in public several times a year. Performances are agreed by the choir; members are free to choose whether they wish to perform or not. Rowantree Choir, Enfield, London The choir began its life as an evening class at Rowantree School in Winchmore Hill, North London, in 1960. It later became a separate entity, and is now an important part of Enfield's thriving musical activity. We are a mixed choir of about 50 members, made up of the four singing parts: soprano, alto, tenor and bass. We perform a huge variety of pieces, from Requiems to Rhapsodies, from Baroque to the Beatles, and from Masses to Madrigals. No auditions - just come along! Royal Agricultural College Choir: e-mail only: contact Junia.Willson We are a SATB choir consisting of members and friends of the Royal Agricultural College. Royal Free Music Society Choir, Belsize Park, London We are a friendly non-auditioned choir who put on 3-4 quality performances every year - led by our inspirational conductor, Ben Wolf. We welcome new members. Royal Leamington Spa Bach Choir, Warwickshire Mixed voice choir that perform a wide range of choral music (20th C, baroque, romantic) in a wide variety of languages. Performs at least 3 concerts a year in venues in and around Leamington Spa and Warwick. Royal Liverpool Philharmonic Choir With its 150-year tradition, and reputation for versatility, the Royal Liverpool Philharmonic Choir has always been central to the life of the Royal Liverpool Philharmonic. Its members are drawn from a wide range of occupations in business, medicine, education, industry and many other fields, and travel from all parts of Merseyside, and beyond, to take part in the Choir's activities. Royal Opera House Thurrock Community Chorus, The Chorus is open to anyone aged eight and over, living in Thurrock.The Chorus works on a mixed repertoire, chosen by its musical director with a focus on established and new work, as well as the Royal Opera House repertoire. The Community Chorus is open to experienced singers and those with no previous singing experience. It enables members to sing with other groups, singers and musicians, developing their skills and extending their abilities and the opportunity for public performances across Thurrock and the wider region will showcase the talent and commitment of the new Chorus. Termly subscription are payable (discounts may apply). Royal Tunbridge Wells Choral Society, Tunbridge Wells, Kent RTWCS is a very friendly choir made up of about 100 singers, both male and female. We sing a whole range of choral and operatic pieces and put on concerts normally three times a season. New members are always welcome, no matter what the age, experience or part. Royston Priory Singers, Royston, Hertfordshire Ex-Royston Parish Church choir, about 20 strong, now a freelance choir specialising in choral evensong, occasional Eucharists, Matins, weddings and secular concerts. RSCM Millenium Youth Choir. An exciting Chamber Choir, founded in 2000 at the suggestion of the Archbishop of Canterbury. It offers special opportunities to 36 young singers to sing the widest and most exciting range of sacred music to the highest standards. RSNO Chorus The RSNO Chorus performs in around six different programmes in up to twenty concerts across Scotland with the Royal Scottish National Orchestra each year. The RSNO Chorus has also had great success in recording with the Orchestra. The RSNO Chorus evolved from a choir formed in 1843 to sing the first full performance of Handel's Messiah in Scotland. Today, the RSNO Chorus is one of the most successful choruses in the UK. In recent years, the Chorus has performed practically every work in the standard choral repertoire along with contemporary works by renowned composers, including John Adams, Magnus Lindberg, Howard Shore and James MacMillan. RSNO Junior Chorus The RSNO Junior Chorus was formed in 1978 by Jean Kidd who turned it into one of the finest children's choirs in the country. Since 1994 it has been directed by popular Chorus Director, Christopher Bell, and has expanded its membership to almost 300, with members aged from eight right up to eighteen. It has built up a considerable reputation singing under some of the world's most distinguished conductors and appearing on radio and television. Ruddington & District Choral Society, Nottingham 80 strong singing popular choral works three times a year, in November, Xmas and May. Rudsambee Company of Singers, Edinburgh An anglicised form of Gaelic meaning "anything at all", which is what they sing - e.g., English, Scots, Latin, French, Italian, German, Georgian, Maori, a Polynesian language, Hungarian, S. African languages, Finnish & Gaelic! Rushmoor Male Voice Choir, Hampshire We are a group of around 60 men based in the Hampshire/Surrey area who love to sing! We aim principally to entertain our audiences and ourselves, to raise money for charity and to have fun doing it. We occasionally go in for competitions, just to keep ourselves on our toes, although we are not “pot hunters”. Having said that, we came a creditable third when we entered the Welsh National Eisteddfod and we were very successful when we entered the Portsmouth Music Festival. However, our main activity is the twenty or so concerts we do each year which simply provide entertainment, often for the elderly or handicapped, in churches, village halls and residential homes mainly in Hampshire, Surrey and Berkshire. The choir provide their services free for these concerts. Ruskin Chorale, Croydon, London Previously known as the John Ruskin Choral Society we are a mixed choir. We sing classical music in 4- part harmony. We give three concerts per year and we welcome new members. There are no auditions and you don't need to be able to read music so why not come along and sing with us? Rutland Choral Society, Oakham Rutland Choral Society is a small group of about 35 – 40 mixed voices. We meet on a Monday night in the centre of Oakham, usually have a break in August. Currently we perform three concerts each year, Easter, Christmas and Summer. No auditions are necessary. The main requirement is a love of singing, but an ability to read music is an advantage. We pride ourselves in being very friendly and welcome new members very readily. All age ranges are represented from mid 20s to over 80s. Ryton Choral Society. Ryton, Gateshead, Tyne and Wear We are a mixed voice choir of about 60 voices; singing mainly classical (secular and sacred) music with occasional forays into Gershwin and Sondheim. We are based at Ryton Comprehensive School but also sing in Newcastle-upon-Tyne, giving 3 concerts a year. We are led by David Murray – the foremost choral trainer in the North East. Ryton Chorale, Worksop, Nottinghamshire. A mixed community choir with around 70 members. Established in 1982, the choir performs 3 concerts a year in the locality and offers a wide repertoire. Rehearsals take place on Mondays at 7.30 in the Holy Family School in Worksop.